Become one of the 3.5 million homes powered by solar. In 2015, California produced the most solar energy in the nation, generating enough to power about 3.5 million homes. By 2020, the Golden State hopes to produce 12 gigawatts of electricity with clean fuel sources like wind, solar, and fuel cells. To give you an idea of the magnitude of that goal, one gigawatt of solar electricity can power 700,000 homes. Thanks to a 66 percent drop in photovoltaic cell prices since 2010, solar backing by state legislature, homeowner energy savings opportunities, and the 2,754 solar companies that operate in California, that energy goal is attainable. The average monthly electric bill in California is $91.26, breaking down to about 16 cents per kilowatt of energy. While average solar panel installations cost anywhere from $11,200 to $14,400, it’s still cheaper for most homeowners to install solar than stay on grid-powered electricity. Now that photovoltaic cells are 66 percent cheaper than they were in 2010, it’s even more affordable for homeowners to purchase solar panels. As of August 2016, Californians (and every homeowner in the country) who own solar panels can get 30 percent back in tax credits. While this only applies to those who own solar panels (no lease, financing or PPAs), it’s a big incentive that can put thousands of dollars back in your pocket. Individual utility companies typically offer solar energy incentives. Browse California tax incentives by zip code to see if you can save more on solar. If your solar panels produce excess energy, utility companies will owe you money. You’ll be eligible for this incentive if you own your solar panels, but some companies like SunRun offer rebates for excess power generation. Sunrun sets itself apart with 20 percent energy savings, solar PPAs, and stellar reviews with the Better Business Bureau and Angie’s List. This company is headquartered in San Francisco, California, and currently serves nearly 80,000 customers. Homeowners who want flexible payment options, reliable solar panels, large energy savings, and quality monitoring should choose SunRun. 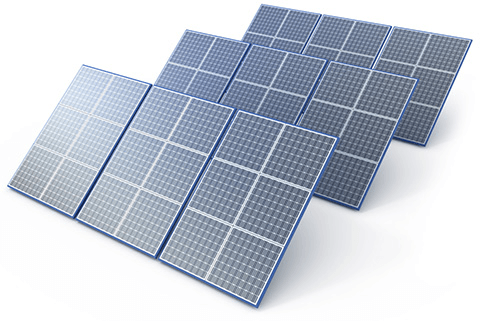 NRG Home Solar provides solar panel installations for as little as $0 down. While the company doesn’t offer solar PPAs at this time, customers can save money by locking in utility costs. Whether you opt to lease, finance, or buy solar panels from NRG Home Solar, you can enjoy high quality design, engineering, monitoring (for some options), permitting, and installation of cost-saving solar units. 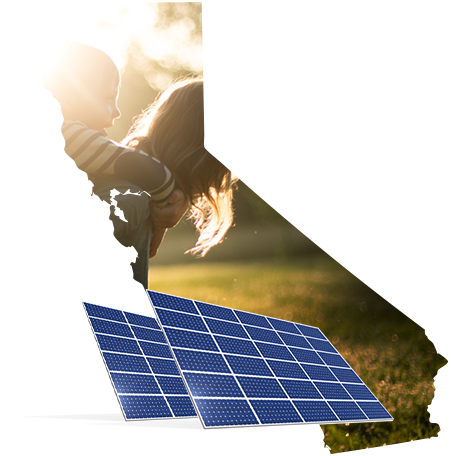 SunPower leads the industry with innovation. Over the past 30 years, the company has filed 600 patents for solar technology, and propelled the first solar powered plane, Solar Impulse 2, on a worldwide journey. On top of that, SunPower’s high-tech solar cells produce 55 percent more energy than conventional panels, so customers can get more energy for less. Headquartered in Silicon Valley, SunPower is a California company that’s leading the charge in solar. Vivint is a one-stop-shop for energy savings, security, and convenience. Starting as a home automation and home security company in Utah, Vivint eventually expanded, giving customers the opportunity to save 10-30 percent on their utility bills. You may choose from solar PPAs, leases, financing, and buy-out packages that come with flexible payment options. Plus, Vivint has home security systems and home automation devices to fortify and upgrade your home. California lawmakers are committed to creating more sustainable energy, and aim to generate 12 gigawatts of electricity from wind, solar, and fuel cells by 2020. Although that seems like a small number, 12 gigawatts of electricity can power millions of homes with clean energy. To achieve this goal, state officials have shifted their focus to solar energy and making it more attainable for homeowners. In 2014, California lawmakers passed a bill that excludes solar equipment from being added onto property value (until 2025). This keeps property tax on homes lower, so more people can afford solar panels. While it’s unclear if California homeowners will eventually incur property tax on solar panels, there are savings to be reaped in the meantime. California aims to produce 12 gigawatts of electricity from solar panels, wind, and fuel cells by 2020. Since one megawatt can power 1,000 homes, California’s solar equipment can power nearly 3.5 million homes. Over $7 billion was invested in solar installations in California in 2015. This organization regulates privately owned gas and electric companies in California. You can read up on news, file complaints, look up utility pricing, and more on the CPUC website. Contact local representatives, learn about laws that impact solar energy, and see if any bills are pending that could impact your solar savings. The California Energy Commission’s goal is to reduce energy costs and promote environmentally safe energy solutions. Read up on news and projects that could affect your energy bill and community. See if you qualify for energy rebates that can save you even more on your solar panels. Learn about California solar power incentives that benefit specific zip codes.